The Seminole Tribe of Florida has proposed a partnership between its Hard Rock International casinos and the Menominee Tribe of Wisconsin, a deal that could channel millions of dollars in profits from the Badger State back to Florida. 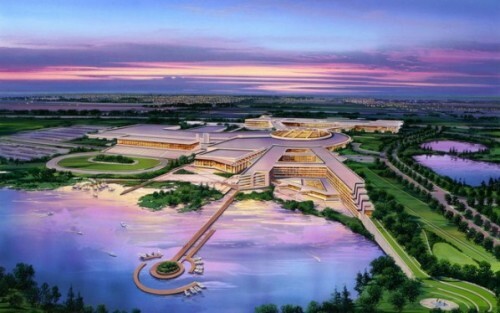 The proposal to open an $808 million casino complex at a now-shuttered, off-reservation dog track in Kenosha is in the hands of Gov. Scott Walker. The Menominee say they need a cash partner or they can’t get their casino off the ground. Two of the 11 tribes, both with casinos — the Forest County Potawatomi and the Ho-Chunk — so far have refused to endorse the project, saying the Hard Rock will siphon off too large a share of their profits. Wisconsin Indian gaming is a $1 billion industry, with $50 million going to the state. The Seminoles-Menominee partnership would mark the first time for any out-of-state tribe to manage a casino in Wisconsin. Hard Rock International CEO Jim Allen claims the site would be a regional draw. Allen says there have been talks with the dissenting tribes about revenue-sharing, the talks have gone well and he’s hopeful his team can get everybody on board. The agreement between the Menominee and Hard Rock — including the percentage of profits the Florida Seminoles tribe would receive — has been kept under wraps. He predicts Hard Rock would expect to receive 30-to-35 percent of the Kenosha casino’s total revenue, and as much as 40 percent. Monette is also director of the Great Lakes Indian Law Center. Not all stakeholders are impressed with the Seminoles or think they should be anywhere near the Wisconsin tribal gaming industry. The Milwaukee media have given a lot of exposure to public filings from the National Indian Gaming Commission, showing the Seminole Tribe has paid more than $12 million in fines handed down by the federal government since 1997 — more than any other tribe in the nation. It has, for example, left George Ermert, spokesman for the Potawatomi, expressing “serious concerns” about the Seminoles being involved in Wisconsin’s tribal gaming industry. The Seminole Tribe of Florida acquired the Hard Rock corporation for nearly $1 billion in 2007. Hard Rock has 174 venues in 54 countries, including 138 cafes, 17 hotels and seven casinos, according to the company. The Seminoles operate six casinos in Florida, two of which use the Hard Rock name. Combined, the Florida casinos have about 12,500 slot machines and 340 table games. The 11 Wisconsin tribes share a percentage of their casino profits. These per capita payments — dispensed evenly to enrolled tribal members — are among the perks of successful Indian gaming ventures. But of all 11 tribes, the Menominee give the least to individuals — about $75 a year in 2012, for example. The Potawatomi, by comparison, paid each tribal member $80,000 in 2012. Gannett reports that the Menominee have pledged to spend gaming revenue on human and social services — including college scholarships — if their Kenosha proposal is approved. This entry was posted in Arts & Entertainment, News and tagged Fantini Gaming Report, Forest County Potawatomi, Gov. Scott Walker, Hard Rock International, Ho-Chunk, Indian Gaming, Kenosha Casino, Menominee Tribe of Wisconsin, Native American, off-reservation casino, Seminole, Seminole Tribe of Florida, Wisconsin Indian gaming by admin. Bookmark the permalink.